The concept of exfoliation is pretty simple: It clears dead skin cells from your face, brightening your complexion and reducing breakouts. Exfoliation can breathe new life into your complexionand even reduce your likelihood of developing fine lines and wrinkles. 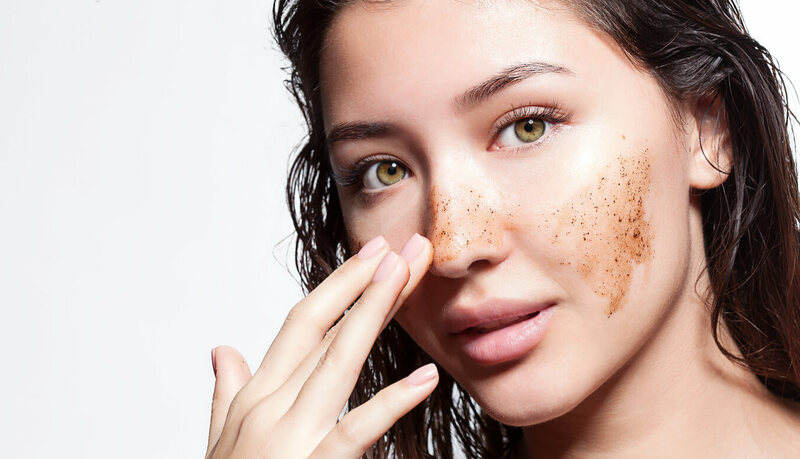 Whether you have dry skin, oily skin, or something in between, there’s an exfoliator out there for you. Every person’s skin has different needsand there are options out there to fit every skin type. If you have oily skinas well as clogged pores and breakout prone skinyou have a few things to consider. A physical exfoliator can be an effective way to scrub deep and purify your pores. It will help clear clogged poresbut you can’t exfoliate too much. If you scrub too much, you’ll dry out your skin, which only triggers more oil production. But exfoliation can be a double-edged sword. If you use a harsh scrub or a strong formula, you’ll strip all the moisture from your skin. More dryness will just cause flakingand this can lead to breakouts. If you have sensitive skin, you might choose not to exfoliate at all. Any kind of harsh or strong ingredient can make your skin tight, sensitive, and redor cause breakouts. Chemical exfoliators are best for signs of aging. Both lactic and glycolic work well, as well as a facial scrub that uses small beads. Don’t use them both on the same dayalternate the physical and chemical exfoliators.